Chelsea grew up in Spain where she started playing football very young. 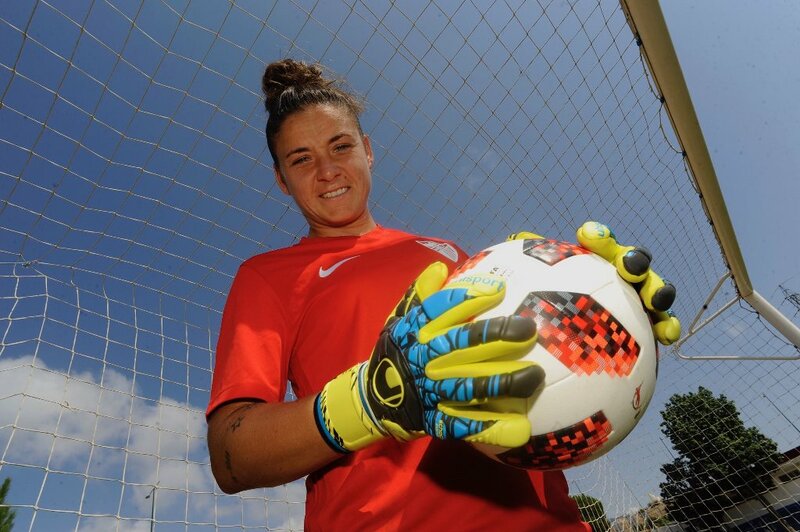 She joined the Spain’s top division, La Liga Iberdrola at 15 years of age with her home town side Málaga. Then, she spent one season with Sporting Huelva and two seasons with the giants FC Barcelona with whom she won the League and Cup double in 2013/14 season. She went back to Málaga CF in 2015/16 season until now. Chelsea is one of the most veteran players at Málaga; she has firmly established herself as the club’s first-choice keeper displaying great dominance of her box and an outstanding shot-stopping ability. She is still very much in the thoughts of the English and Spanish national team set-ups. LTA Agency are delighted to welcome Chelsea and look forward to a long and successful relationship with her.